Your home’s exterior is the first thing that people will notice when they visit your property. In addition to making (or breaking) your home’s curb appeal, exterior components like your roof and siding also play crucial roles in protecting you, your family and your assets. That’s why they need excellent care to be able to serve you for as long as possible. Tony's Roofcare Inc. is the name you can trust for exceptional exterior services, including roof repair, exterior painting, siding replacement and more. Why Choose Tony's Roofcare Inc. for Your Roofing and Exterior Needs? Tony's Roofcare Inc. has been serving clients in the South King and Pierce areas since 1997. From day one, our philosophy has always been to keep things simple: we focus on taking care of our customers and their needs, and everything else follows. It is very important to us that our customers are always happy with the services we provide. We believe that customers shouldn’t pay for a service in full until the job is completed and has met their expectations. Thanks to this philosophy, we keep growing stronger each year. Call Us Today for Guaranteed Quality Roofing and Exterior Services! 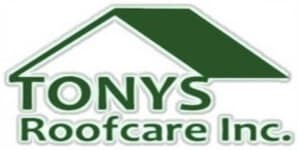 If you want nothing but the best services for your home, get in touch with Tony's Roofcare Inc. today! Whether you need repairs for your leaking roof or exterior painting, we’ve got you covered. Call us at (253) 841-7779 or submit our online contact form to schedule a consultation and get a free estimate.